Duplex penthouse with four bedrooms and three bathrooms (one bedroom upstairs can alternatively be used as a TV living room). 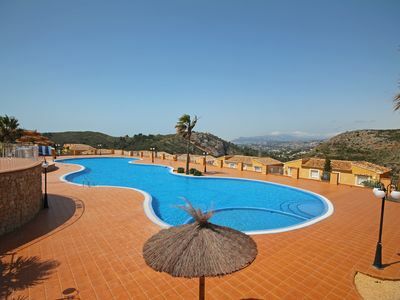 Ideal for one or two families, for seniors wanting a extraordinary holiday, or 4 golfers wanting one bedroom each. This is the place where you can experience nature and sea inside your living room, while having access to all facilities of a city. 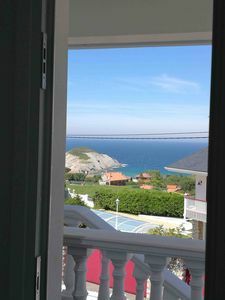 Have a glass of wine while overlooking a wonderful sea view and hear the waves braking against the beach. This is a place you will definitely come back to! The apartment is a brand new (2013) the first line beach penthouse with very high standard and a lift from gated private parking. 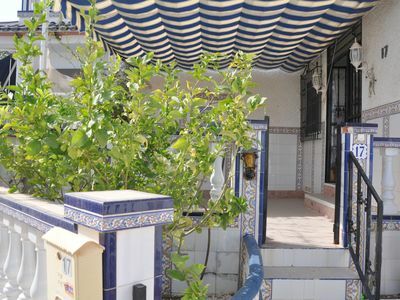 It is located in Urb El Balcon De Benalmadena, a "high end" newly established urbanization between Benalmadena and Fuengirola , only 12-15 min drive from Malaga airport . The apartment is about 110 square meters. 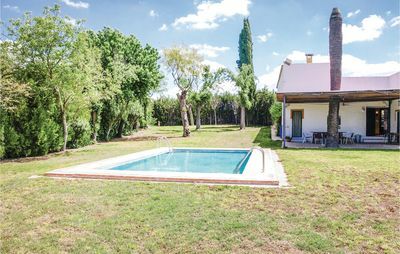 Including terraces (as many include as inside living area) it is the approximately 150 square meters. The two terraces are consequently of about 40 square meters, both with lovely views over the beach and the Mediterranean Sea. In the evening you can also see the lights of Fuengirola and Benalmadena city. 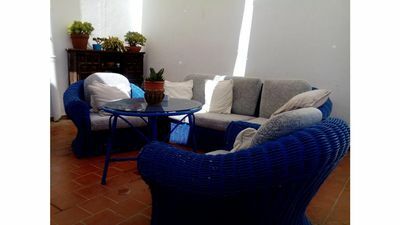 On the first floor there is the beautifully decorated living and dining area with access to a large terrace. The living room w / sofas, dining area and bedrooms are all furnished for eight adults (+ small children). 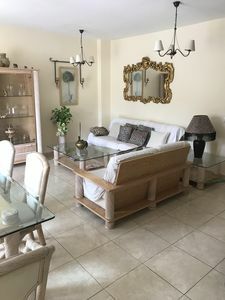 The dining table has extra plates so that it can be from 1.8 to 2.6 meter long and it is 2 large sofas and one smaller sofa in the living room downstairs. 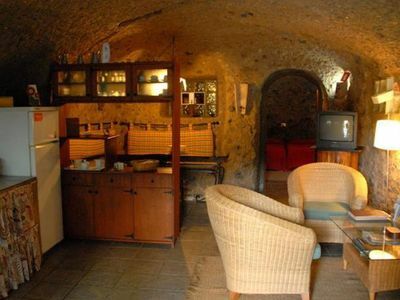 The kitchen is fully equipped with stove, oven, microwave, dishwasher and refrigerator. At this floor you will also find a bathroom and two bedrooms - one with direct access to the terrace. Upstairs you have two bedrooms and two bathrooms. One of the bedrooms can alternatively be used as a TV living room. One of the bathrooms upstairs is equipped with a small Jacuzzi. 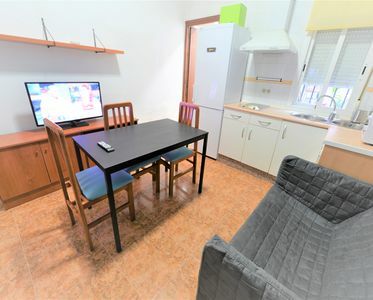 There is also a small fridge and a TV in this floor. 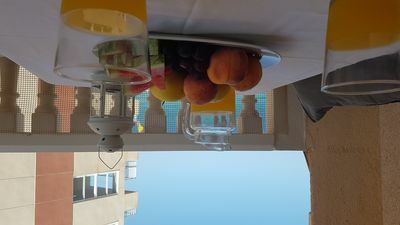 It is thus possible for two families to be on each floor / sit on each terrace in parts of the holiday, for example breakfast, given that one would want some privacy. The 4 bedrooms are fitted with four single beds (which can easily be converted into two double beds), double bed (150 x 200) and a sofa bed (150 x 200). 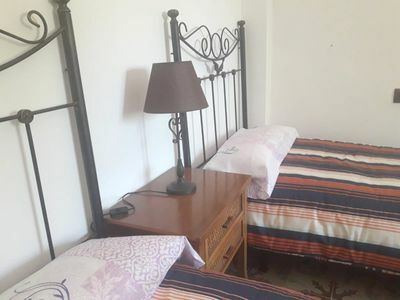 In addition, there are cot in the apartment. To the sofa there is a very good mattress so that it is considered a full bed (I have tried it and there is no difference). All of the mattresses and bedding are new with very good sleeping comfort. All bedrooms have exterior light-proof aluminum blinds that can be pulled down over the windows. There are air conditioning / heating in all rooms. The apartment is equipped with 46'' LED / HD Smart TV in the living room and 42 '' LED / HD 3D TV in master bedroom / upstairs living room , radio / CD, speakers PC/iPod/MP3 , internet access, dimmers on all essential lighting devices , outdoor furniture ( dining table w / 4 chairs on each of the terraces , launch sofa on a rooftop terrace, good launch chairs on the lower terrace , and several sun beds and deck chairs), Weber grill, linens, towels, iron, ironing board, hair dryer, high chair, cots, etc. the complex has alarm, and the residential area is security guarded 24 hours a day . 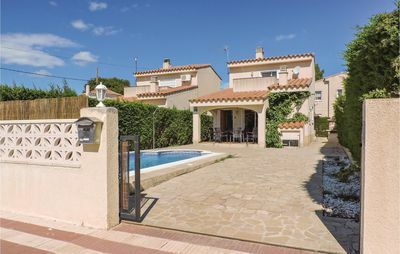 Large communal garden with benches and a cliff top pool area. One of the pools is a fenced children's pool, so here it is possible to relax as parents of the little ones. 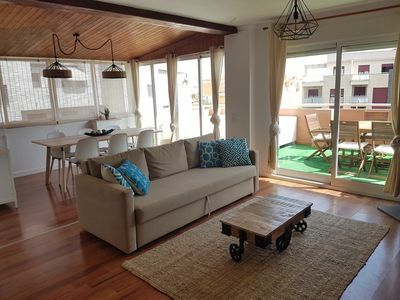 The apartment is south facing more or less directly on the beach, with an incredible view of the Mediterranean Sea. Because of the property being south facing you will avoid the worst heat on the lower terrace in the afternoon. This is lovely in the warmer summer months. The lower terrace is also equipped with sectional roof blinds that can be pulled over the terrace. From the roof terrace there are lovely afternoon / evening sun and you hear a wonderful soar when the waves break against the beach. Breakfast can enjoy in morning sun on both the terrace while watching the fishing boats come in with their catch. 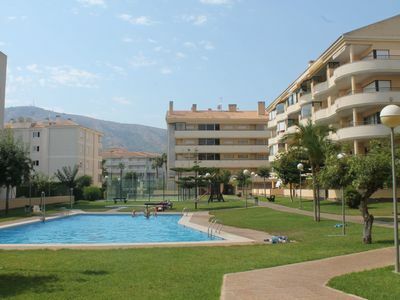 The apartment is located in a quiet area just 12 - 15 minutes' drive from Malaga airport. A stone's throw away is a convenience store that is open from 9-21 every day. Costa Del Sol's best Paella can be enjoyed at Restaurant Kalifato just 100 meters from the apartment (beach restaurant). La Cubana Beach, part of Carvajal Beach is just 50 meters from the apartment, a beach that gives you that Caribbean feeling. Here you can also enjoy live music some nights, and eat lunch at La Cubana Bar while sitting with your toes in the sand. There are numerous restaurants and bars along the whole seafront. If you want a trip to the city, you are only a 5 minute drive / taxi ride away from the nightlife of Fuengirola and Benalmadena. There are always taxis available. 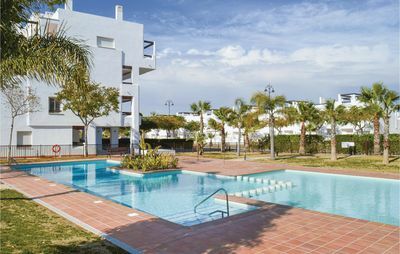 It is only 5 min drive to the City Centre of Benalmadena, Benalmadena Pueblo, Fuengirola and Arroyo de la Miel, 10 min driving to Torremolinos and Mijas, about 25 min to Marbella and Puerto Banus, 40 minutes to Estepona and about 1 hour and 25 min to Gibraltar, ferry to Africa and Tarifa. Please contact us for further information. 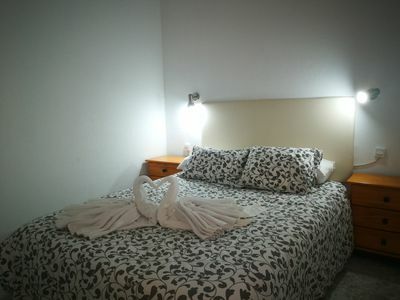 The apartment is located 500 meters from Carvajal station, where the train goes to Malaga Airport . If you therefore don't want to rent a car, train can be used. The train from the airport to the Carvajal station takes about 30 minutes. The train could otherwise be used between Fuengirola and Malaga city and goes three times an hour. 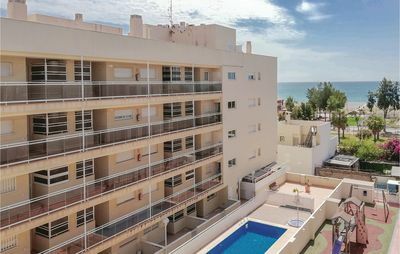 We looked at a lot of apartments in Spain before we bought this one and the feeling I get when I sit on the roof terrace and hear waves rolling towards the beach in sunset is just outstanding any place I have been before. 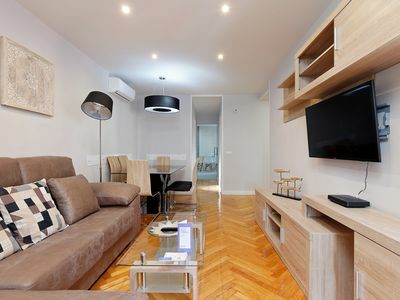 We look forward to welcoming you to this wonderful apartment! 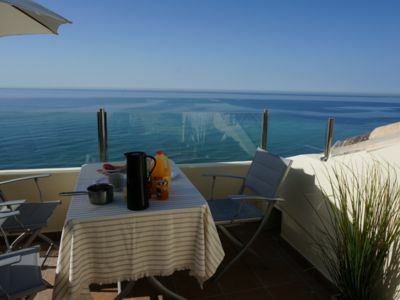 The apartment is located in a beautiful area between Benalmadena and Fuengirola. Costa del Sol, Costa del Sol, which also is called the Golf Coast, Costa del Golf, extending from Tarifa to Motril on the east of Malaga where it is bordered by Costa del Almeria. The coast is Europe's most southern and bordered by mountains and the Mediterranean. You can see Africa and the snow on the peaks of Granada at the same time. Costa del Sol is developed and adapted for millions of tourists' welfare. Here is one example. More than 80,000 hotels and a huge range of sports, among them the many golf courses. The busiest part of the coast can be found from Malaga to Estepona. East of Malaga is somewhat quieter. The region is ideal for most types of holidays, both short and long duration. Coast or inland, beach or mountains. Active vacations with golf, water sports, skiing, or family holidays with beach life, visiting the water parks and amusement parks. 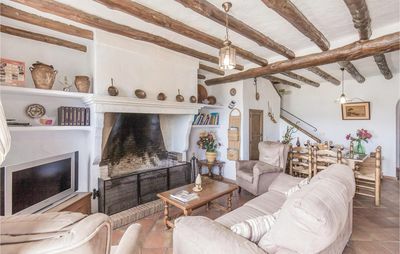 Holidays with a focus on history and culture or romantic holidays with restaurant visits, spa and horse carriage in Mijas Pueblo. Depending on what you like, you can drive 10 minutes inland and find typical white Andalusian villages. You can visit the designer shops of Puerto Banus or one of the many street markets in the area. Or you can enjoy a meal in the old town of Marbella surrounded by fragrant orange trees in bloom. You can choose from nearly 50 golf courses, hiking in the mountains, water skier or run the slalom in Sierra Nevada. And of course you can enjoy lazy days on one of the beautiful beaches, or take the family to one of the region's many zoos and adventure parks.